Ария are no strangers to heavy metal. 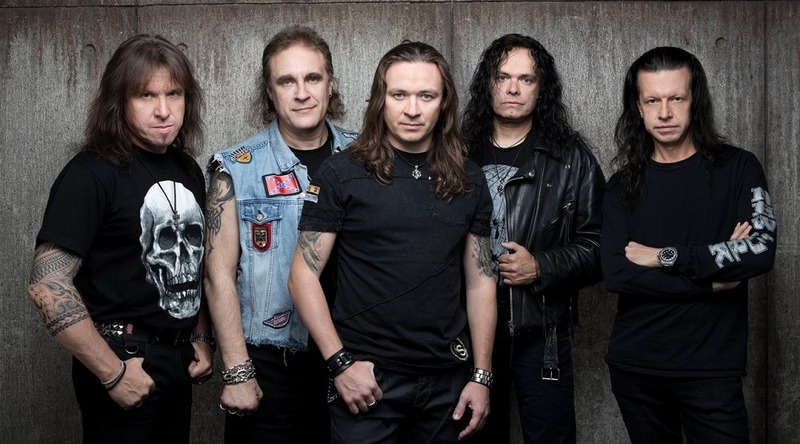 Indeed, they were one of Russia’s most successful heavy metal bands whose career goes back to the heart of the glory days of metal, when they graced the world with their Maidenesque debut in 1985. 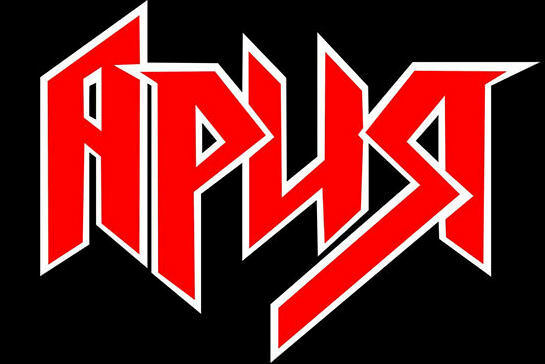 Anybody even slightly familiar with Russian heavy metal knows that Ария were the band back in the day, and their first five albums are some of the greatest albums from the scene, remaining just as relevant and fresh today as they were over three decades ago. I feel like I should disclose a couple things at this point. First of all, I haven’t listened to anything Ария has done since the eighties, so I have no idea where this album stands with respect to their output between 1990 and now. Secondly, my expectations going into this were pretty much zero because, well, I’ve basically gotten used to disappointment listening to any late-era efforts from legacy bands. Finally, I am an absolute fool for everything old school in heavy metal, and my atavistic appetite for the eighties borders on mental illness. Having gotten that out of the way, let’s talk about this album, because it’s nothing short of fantastic. In one respect, this album is pretty much everything you might expect from a band who has been playing heavy metal for the last four decades: it sounds like heavy metal. Furthermore, if you’re already familiar with Ария’s work, it sounds like classic Ария. The galloping, melodic riffs and the enchanting, crooning vocal lines are all present with the same majesty you heard on their earlier works. Every song is carried along by this perfect pairing of powerful and punching riffs with catchy melodies. And that would be enough to make a decent heavy metal album by itself, but that’s actually only half the story. The other half comes from the lead guitar and the atmosphere. The lead guitar parts are almost surreally solid. Look, we’ve all heard a million guitar solos that are nothing but splattering slurs of thirty-second notes over the pentatonic notes on the fretboard. And whilst that can be enjoyable at times (and may even fit the music), Ария set the bar quite a bit higher here. The guitar solos are all well-crafted compositions in their own right, with a note selection that goes far beyond the well-worn ruts of most metal shredders. For examples of this, look no further than “Варяг” and “Трудно быть богом”. The atmosphere is probably the least important aspect to this album, but it still counts for something as I feel it plays a vital rôle in the final sound. By atmosphere, I mean the very subtle use of foreboding keyboard effects and layered background vocals, which form the massive canvas on which the instruments paint a truly epic sound of might and fury. It isn’t present in equal measures on every song, but it you want a taste of it check out the power ballad “Пусть будет так”. If I had to dock points for anything on this album, it would be the length. This is basically a double-album by eighties standards, clocking in at a whopping one hour and fifteen minutes. Many listeners just aren’t used to that kind of length in an album. But with material this strong, I can hardly make this complaint seriously. Indeed, I couldn’t find a bad track on the whole thing, and I couldn’t even point you to a particular highlight that stands out above the rest. The album is just so well-rounded and constructed from beginning to end. If you liked Ария’s classics, you are going to like this. If you aren’t familiar with Ария but like classic heavy metal, you absolutely do not want to sleep on this release. This entry was posted in Heavy Metal, Reviews and tagged classic metal, Heavy Metal, iron maiden, metal, moscow, old school heavy metal, russia, Ария, Проклятье морей.